Gemma? Tarot cards? Wait, since when? Full disclosure... It's because of tarot cards that I'm where I am today. Ok the quick version of my tarot story... Years ago, I was given a deck of Tarot cards... I thought, "Ooooh fun, cards... Friends... Martinis... Friday nights... Sounds like a blast... Yeah... Not so much. I mean... At first it was all fun and games, but it very quickly morphed into something I never saw coming. See, I already had a really strong intuitive gift from childhood, which I knew about, but I was so not trying to let anyone else in on; all the negative woo woo stigmas and such. Little did I know that the cards were about to totally out me. The more I threw them, the more I focused my my gift, allowing it to grow even stronger than it already was. So much so that I quickly outgrew the cards. 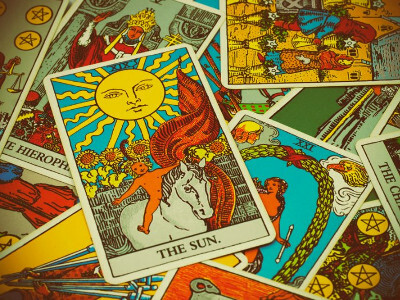 Flash forward to my present day readings which don't include the cards at all, however I will always have a great respect for the incredible tool that they are and the important role that they played in my journey.